When you need reliable Amana repair CT service, it is important to call a service center with technicians knowledgeable in how to fix the brand. Calling other repair centers may cause your appliance to be fixed improperly or even damaged in the process. Trusting just any repair center with your Amana appliance can have serious consequences. 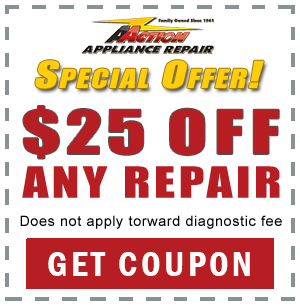 Action Appliance Repair can take any doubt you have out of the equation. We are experts in Amana appliance repair in CT and deliver friendly and mannerly staff to your door. 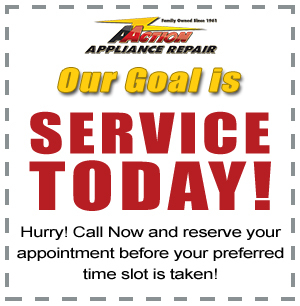 Let us show you the difference between Action Appliance Repair and other service centers. Our CT Amana repair technicians service all major home appliances, including refrigerators, dishwashers, ovens, washers, dryers, and more. We work on all the most common problems, so we’re able to get your appliance back up and running quickly. Why Choose Action for CT Amana Appliance Repair? Action Appliance Repair is pleased to offer our customers over 50 years of experience in fixing Amana appliances. Anytime your appliance isn’t working up to its fullest potential, it can have a major impact on how your house operates. Allow us to get your Amana appliance back up and running without the hassle of trying to find a reliable and knowledgeable service center in the area. 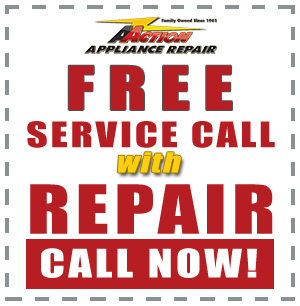 Our customers here at Action Appliance Repair come first and we are committed to treating you with the utmost respect. We are proud that our customers return again and again when their appliances are in need of repair or maintenance. If your Amana appliance breaks or is in need of an expert inspection then call us toll-free at 866-611-4479. We guarantee you the best service and price in town. As a bonus, your service call is absolutely free with each repair we complete. So what does calling Action Appliance Repair for your Amana appliance mean for you? We waive the fee of our service call if we repair your Amana appliance. You won’t owe us anything if we visit and are able to repair your appliance.